Discover what happens when science meets music and food this Thursday, August 13. 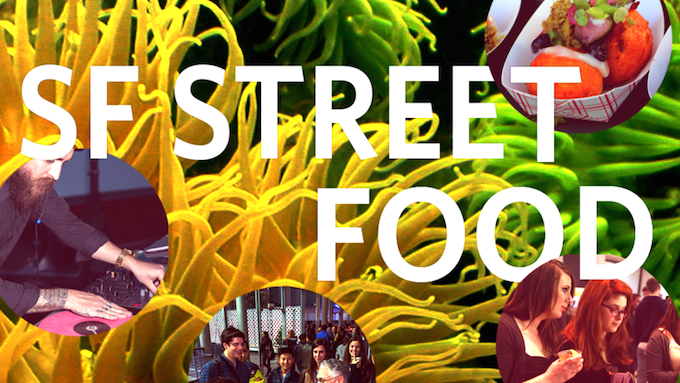 The California Academy of Sciences welcomes a special edition of NightLife featuring SF Street Food. Every Thursday night, the institute leaves its doors open and offers visitors the chance to explore the museum and special exhibitions with the accompaniment of live music. This week, in addition to performances by Blackbird Blackbird and local indie-electro DJ Afterhours, you can enjoy live cooking demos from Bini’s Kitchen, Bicycle Bánh Mì and more. Learn how to cook everything from dumplings to whiskey whipped cream and sample foods from local vendors like Earl’s Organic and Aeden SF. The Academy offers the perfect ambiance, so come to hang out with friends and experience the wonders of science like never before. Join us for a night of discovery, learning, and fun, in the heart of the Golden Gate Park. Get your SF Street Food NightLife tickets now!